IMMUNE PLUS is a 24-Hours defense against pathogens and gives the body the tools it needs to fight off foreign organisms and bacteria. It is formulated to boost the immune health and immune response against viruses and infections. It contains slow-release Vitamin C that is effective for 24-hours. IMMUNE PLUS gives the body the ingredients it needs to have a better immune support system. By taking this product, you get a 24-Hours protection against pathogens, flu, and flu-like symptoms. 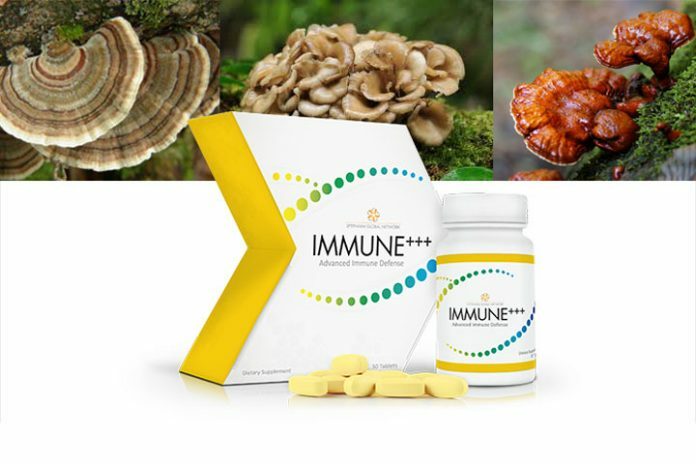 Also, the polysaccharide complex and mushrooms it contains are traditionally known to help aid problems with the upper respiratory system, fatigue, and common cold among others, in a long list of benefits from these ingredients. IMMUNE is best combined with Laminine. A daily dosage of both is an ideal supplement to fight daily stress.